Bill Crahan was one of those musicians who other musicians went to when they wanted to understand the music they were playing and wanted to play it better. That's respect. 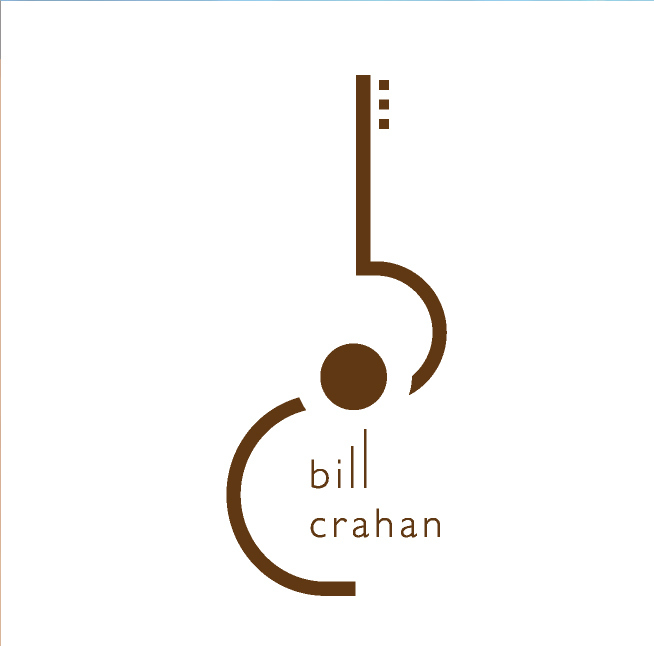 Bill could play a lot of instruments but guitar was his signature, so I wanted to make his logo reflect that. I stylized a lower case "b" and "c", added some tuners and a sound hole and came up with a pretty close impression of the 1940's Martin he played for years.